Ride with us in the street from Stewart Heights Park to Charlotte's Blueberry Park where we'll help with Parks Appreciation Day! 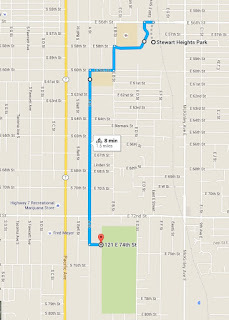 The ride starts at 9:30am at Stewart Heights playground. 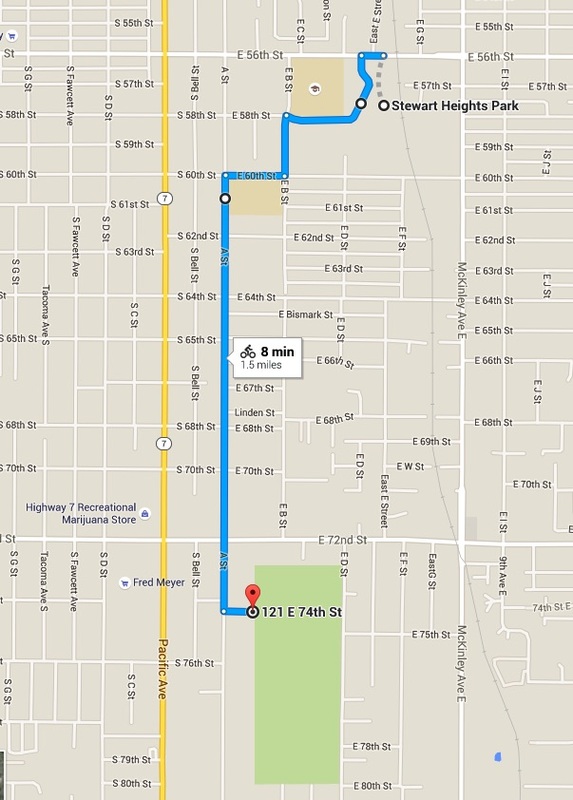 We will ride 1.5 miles to Blueberry Park where we will help clean-up the park until 11:30am (about 1.5 hours). Then we will ride back to Stewart Heights. Metro Parks Tacoma will provide tools, some water and snacks, and porta-potties. Please bring work gloves for all of your helpers! We will mostly be pruning and hauling out brush. If you want to bring your own pruning tools (a good idea), mark them with your name. Matt will bring a long cable to secure all bikes together while we are working. If you can't make it to our event, here's a list of Parks Appreciation Day activities happening in the Tacoma-area on April 23. Pitch in where you can! RSVP for the ride on Facebook.